Stefanie specializes in empowering business leaders in the developing world to make a positive local impact. She is currently focused on leading LifeNet’s social franchising of health centers in Burundi, Uganda, and Eastern DRC, building their capacity to deliver quality primary health care sustainably. Stefanie has a vision to help the most people possible to have access to quality healthcare and medicines through a system that is financially sustainable. Expanding LifeNet’s work in Africa in the next several years is her chief creative and mental occupation. 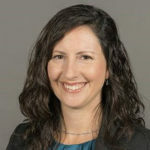 Stefanie holds a BSFS in Science, Technology, and International Affairs from Georgetown University, an MSc in Development Studies from the London School of Economics, and a certificate in Development Management from the Monterey Institute of International Studies. She speaks English, French, Japanese, and some Swahili.